KEEP THOSE FINS INSIDE THE FISH! 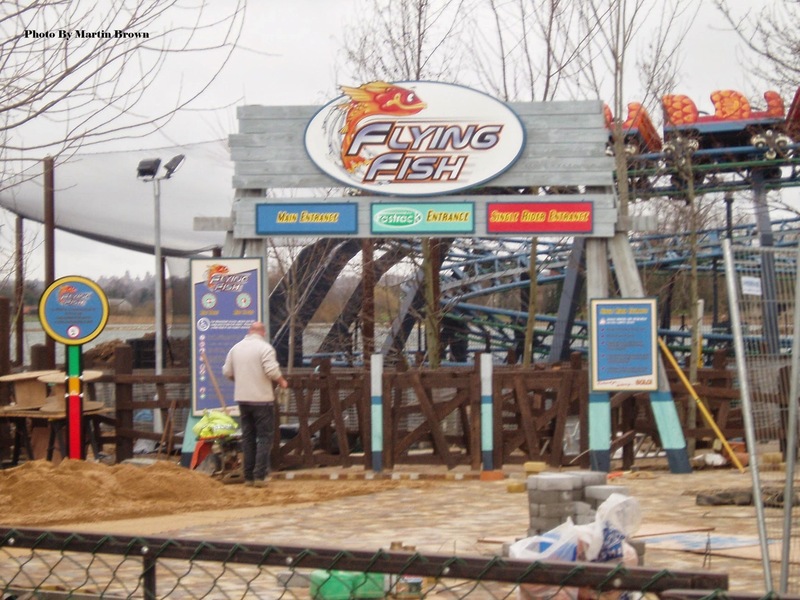 Back by popular demand, the Flying Fish returned to Thorpe Park in 2007. 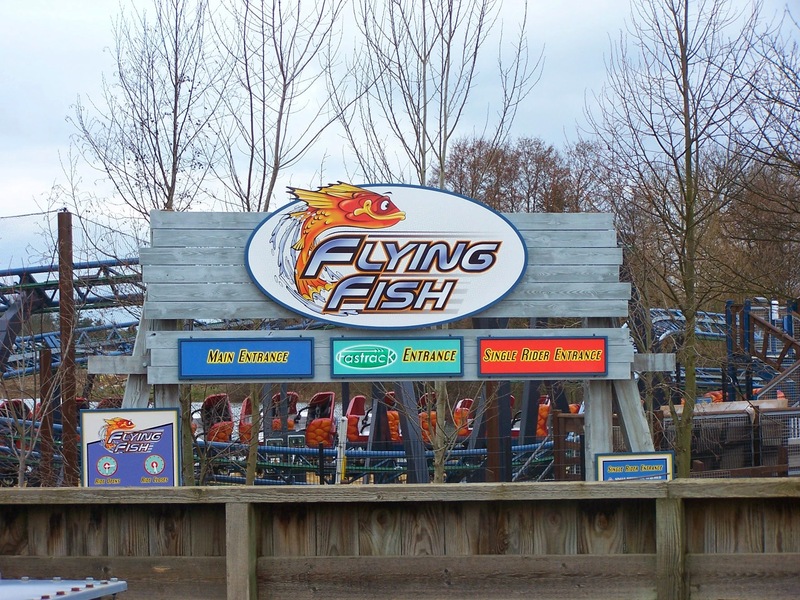 Making its modest little flight nestled between Stealth and The Swarm and accessible to thrill and fun-seekers of all ages, The Flying Fish is a welcome break between larger coasters and the perfect introduction to coasters for younger guests. 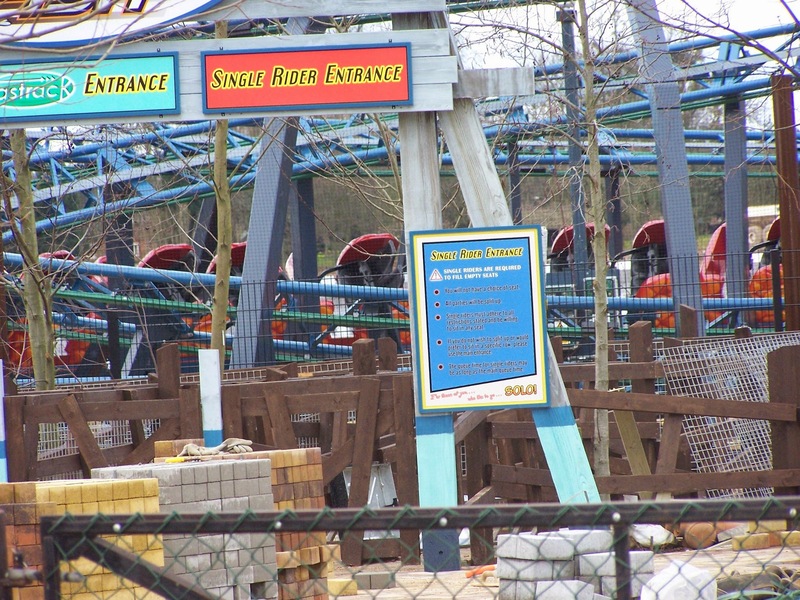 With a minimum height restriction of just 0.9m, fresh-faced adventurers can enjoy their adrenaline apprenticeship on this wave-surfing powered coaster. 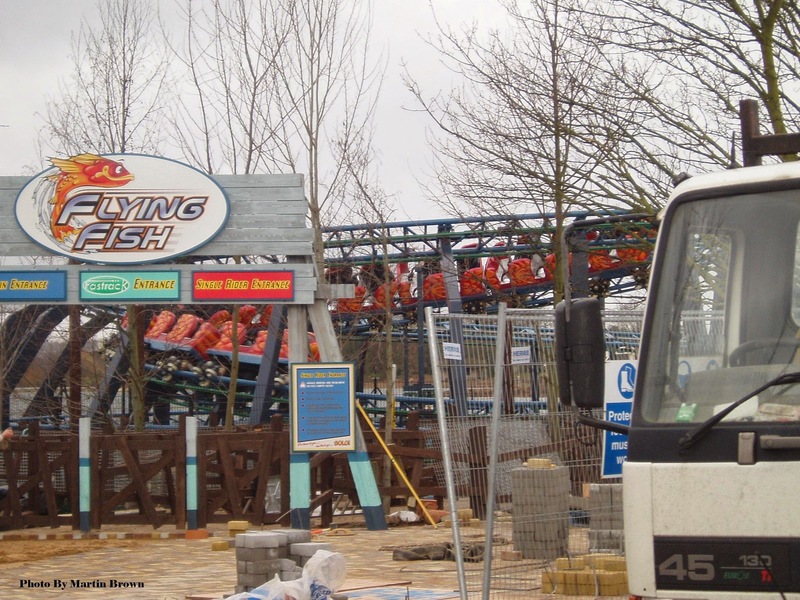 With riders seated firmly on the back of the Flying Fish, the ride takes off! At a modest pace, the famed Fish swims through helixes and turns comfortable for all the family. Depending on the business of the queues, the train will go around the circuit two, three or four times. So whilst it may look short, there�s plenty of reason to hop on board. Don't pull that lap bar down too tight, it may result in an uncomfortable ride! The Ride its self and ride buildings are now up. 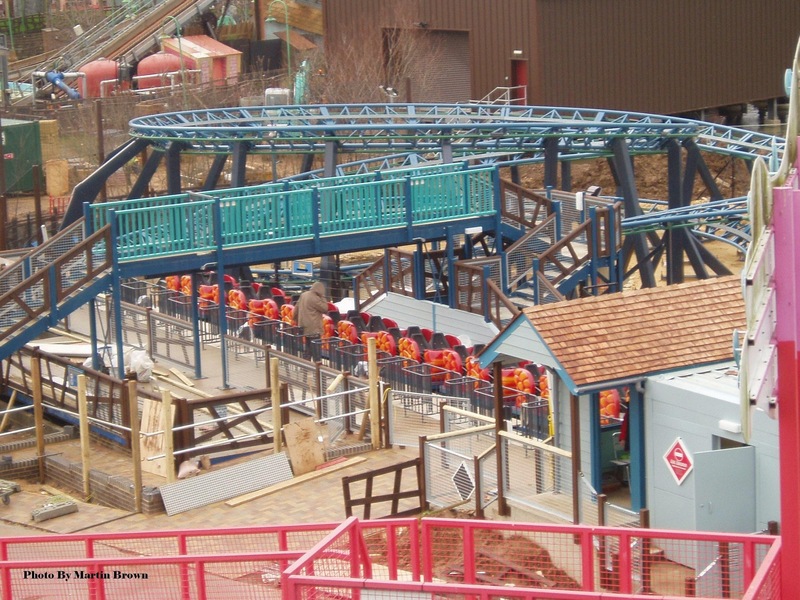 The ride is currently testing to ensure its ready to open in March. Flying Fish has opened to the public slightly earlier than planned. This is just a soft opening to ensure all runs well for its full opening.